Preferred Member pricing has been negotiated on your behalf! 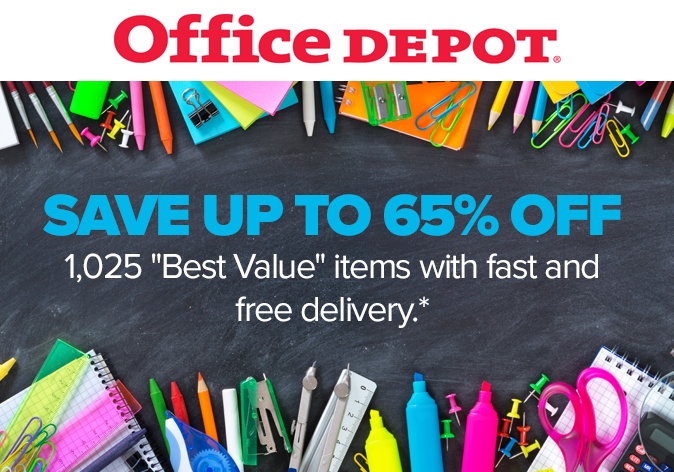 Save on office essentials, cleaning and breakroom solutions, technology, furniture and more! Download Your Store Purchasing Card Now! *Orders outside our local delivery area and most furniture, oversized and special order items do not qualify. Non-qualifying orders incur a delivery charge (minimum charge of $7.95). Many orders can be delivered next business day (between 8:30 AM and 5:00 PM) if placed online or via phone by 5:00 PM or via fax by 3:00 PM, local time (In most locations). Other restrictions apply. See business.officedepot.com, call 888.2.OFFICE or ask your Account Manager for details. Office Depot is a trademark of The Office Club, Inc. OfficeMax is a trademark of OMX, Inc. ©2017 Office Depot, Inc. All rights reserved. Start Saving with a Store Purchasing Card! Download Now!